Located just next to Seonyudo subway station, Park Hotel Yeongdeungpo, Seoul offers guests convenient access to retail, dining, entertainment options in the bustling city. The upscale hotel is an excellent option for business travellers, with Yeouido Business District located just 10 minutes away. For a temporary respite from the hustle, Seonyudo Park and Hangang Park is just a stroll away from the hotel. 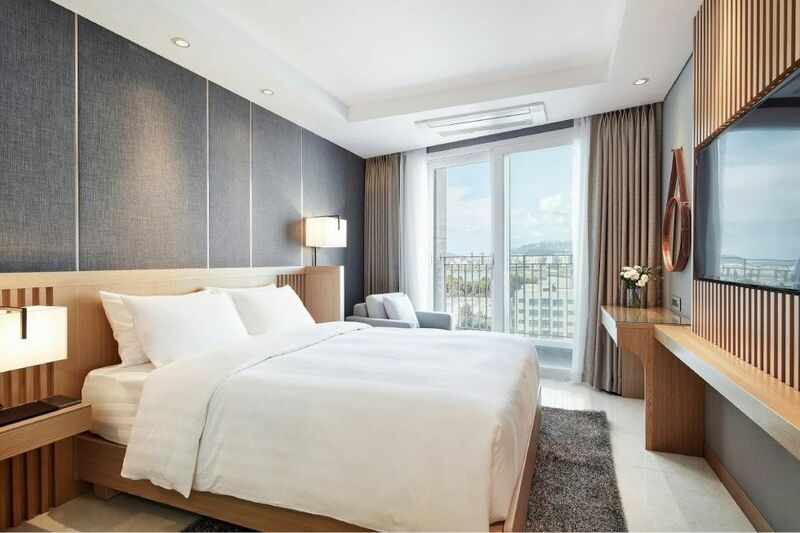 Step into an urban oasis at Park Hotel Yeongdeungpo, Seoul, the perfect option for both leisure and business travellers. Book your stay directly through our website and enjoy exclusive privileges! Floor – to – ceiling full length windows in all 140 rooms allow the space to bath in natural sunlight, creating an inviting ambience. Guests can enjoy either the city skyline or Hangang River from the rooms. The rooms are stylishly fitted with earthy, wooden furnishing, which exudes a touch of sophistication and modernity. 7 Cool Places to check out around Park Hotel Yeongdeungpo, Seoul. Tick off your travel bucket list with our places to go this year, and the best months to visit. Embark on a food adventure for delicious Korean street food and discover some of the best restaurants in Seoul that will keep those chills away. Plan your upcoming trip with our winter travel tips and discover the best places to visit during winter.